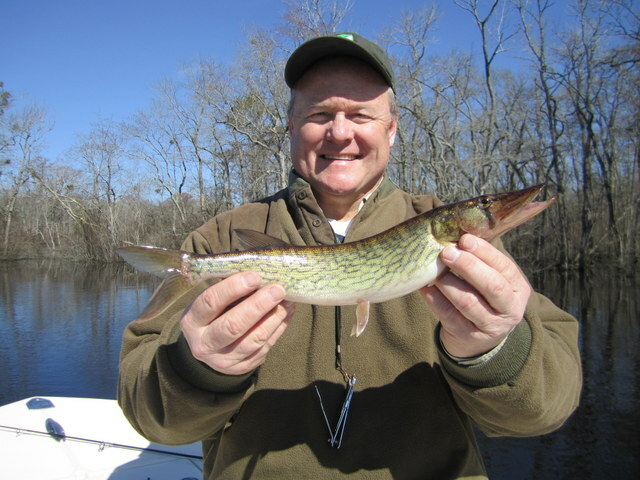 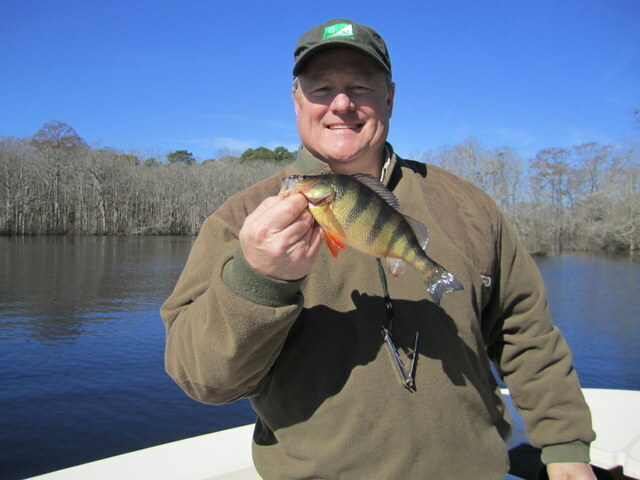 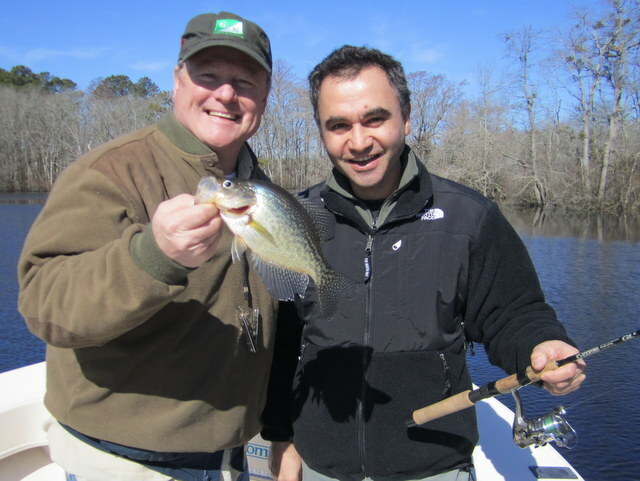 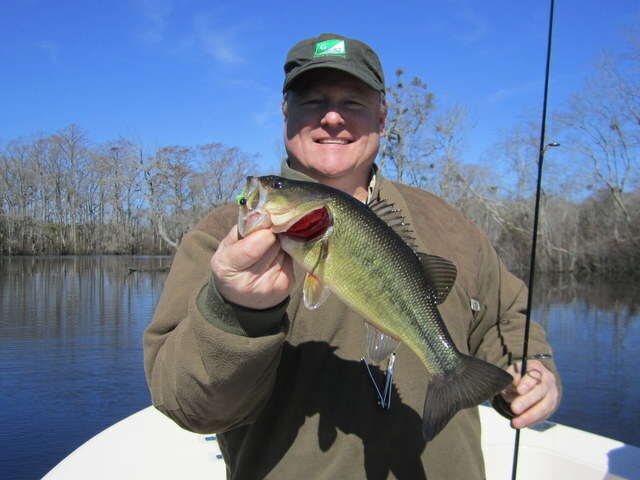 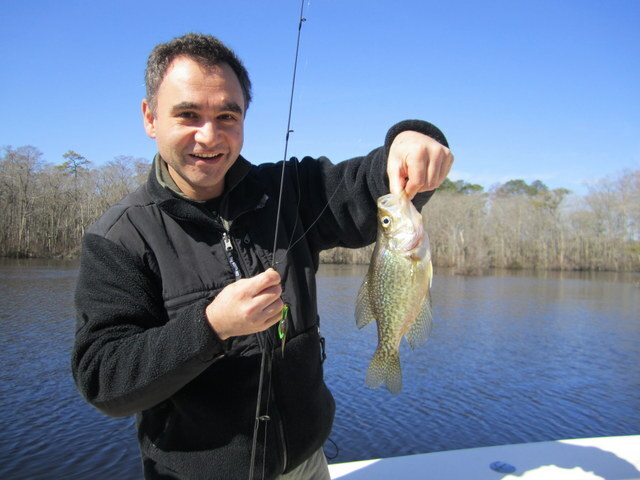 Heavy rains, coastal flooding and cold water have slowed the crappie bite of late, but we are still managing to catch a nice variety while prospecting the coffee-colored waters of the Pocomoke River. 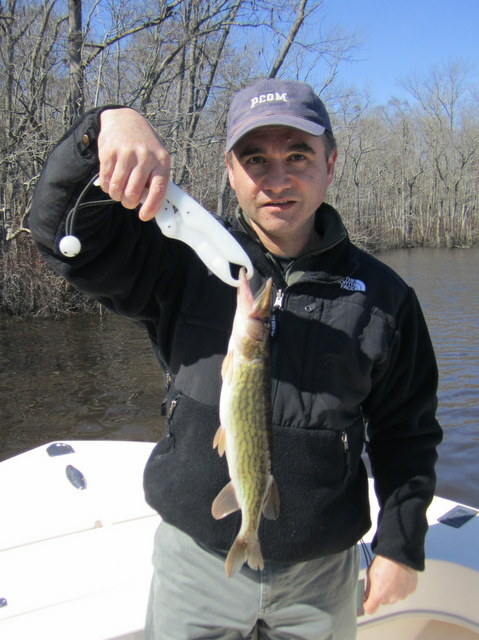 Pickerel, crappie, perch and bass are all jumping on our jig ‘n minnow offerings and once the high waters subside catches should be right back to form. 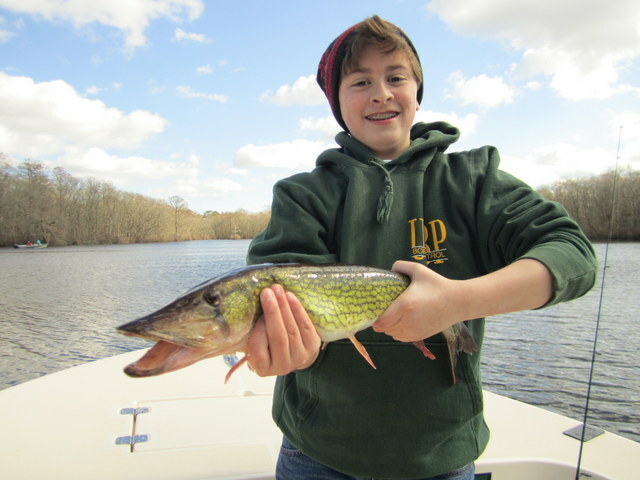 I have quite a few trips on the books as we approach the official start of spring, so I hope to keep the photos coming..
Connor Portner has his hands full with this fiesty 24-inch pickerel. 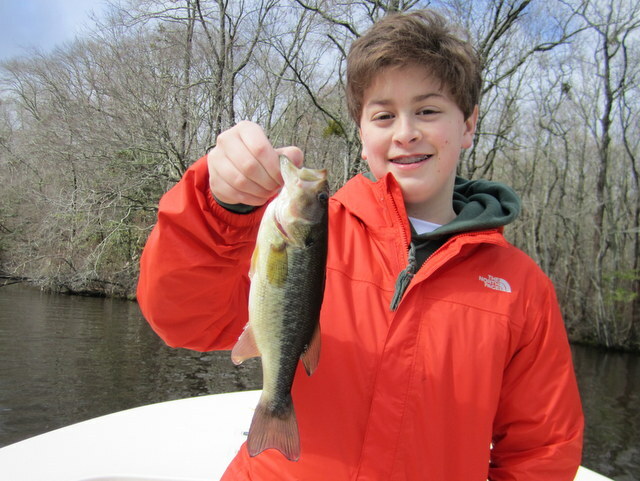 Nice catch young man!